When I headed out to the San Antonio Cactus and Xerophyte Society Show and Sale yesterday I was a bit on the fence about going again this year. I'm so glad I went because they had changed things up quite a bit making the show different and fun. 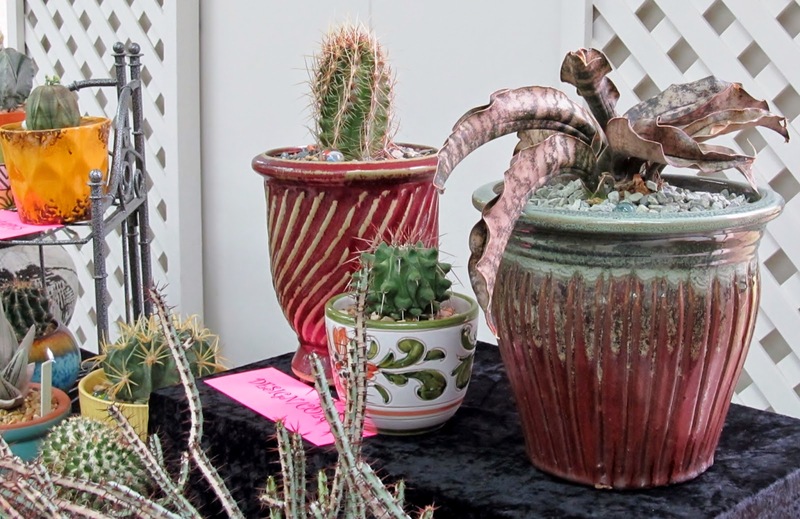 The show is held annually during April at The San Antonio Garden Center near The San Antonio Botanical Garden. The tables around the perimeter held helpful information on growing and propagating succulents along with a pretty display on matching plants and containers. 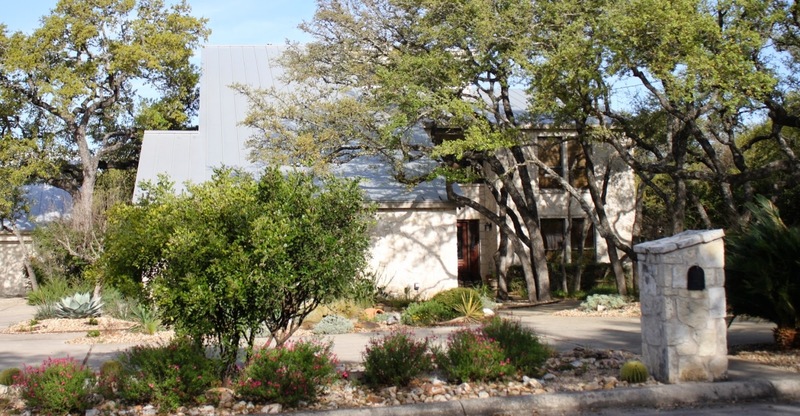 It's the fourth Wednesday of April and time for Wildflower Wednesday when bloggers join Gail at Clay and Limestone to highlight flowering native plants in our gardens. 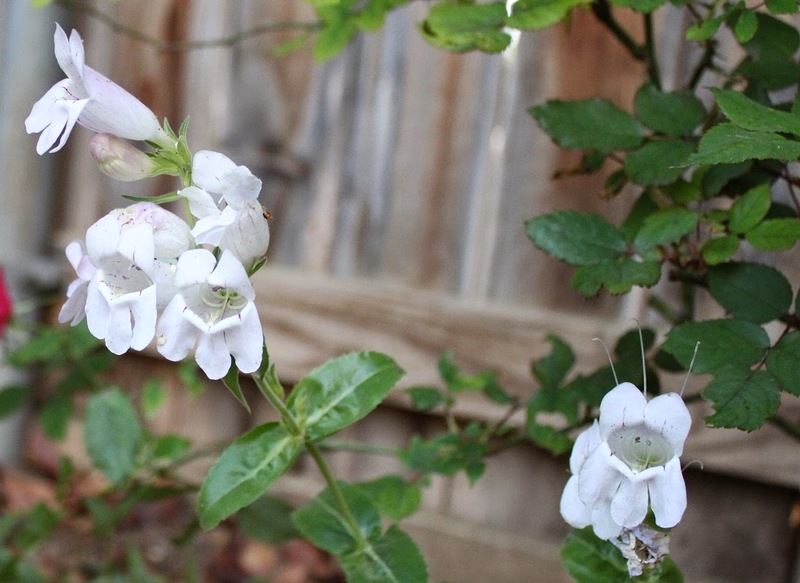 For April I'm featuring Penstemon cobaea one of the newest native plants in my garden. When Jenny at Rock Rose in Austin posted about spotting Penstemon cobaea in a patch of roadside wildflowers just over two years ago I made a note to try to find some for my garden. It took a while, but I did find them at the Native Plant Society of Texas plant sale here in San Antonio a few weeks ago. A plant with my name on it, sort of. It's not actually a foxglove but Wild Foxglove is its common name and as close as we can get in our hot Texas climate unless we purchase Foxglove already in bloom as an annual. So I'll take it. Look at those bearded flowers! Almost like a fox could wear them as gloves. I'm always on the hunt for items to re-purpose for my garden and especially enjoy new places to explore. 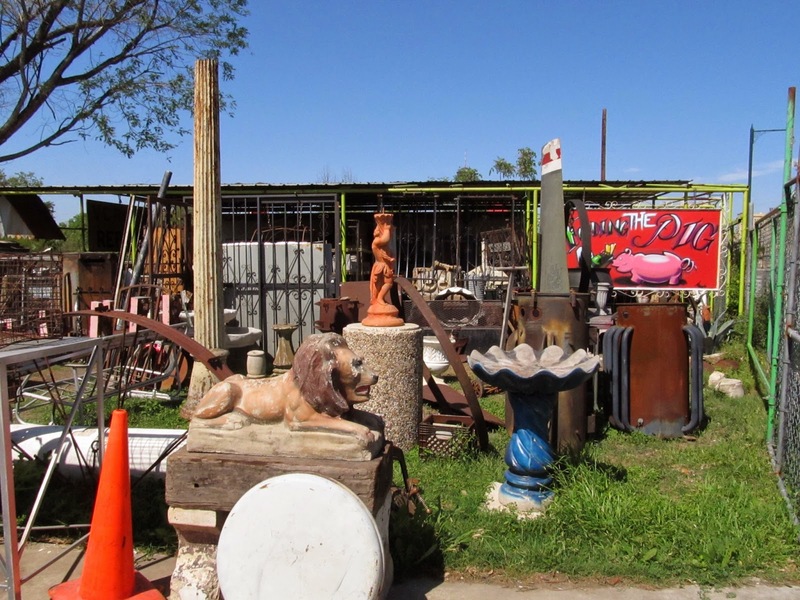 Finding vintage items for the garden just got easier and more fun in San Antonio. There's a new shop in town called Feeding the Pig opened last fall by Julio who used to work at Yeya's, a local favorite for vintage yard art. More Spring Blooms and Happy Easter! Sometimes one bloom post per week isn't enough, especially in the spring. Almost as soon as I finished my post for Garden Blogger's Bloom Day more blooms appeared in the garden that I just had to share. 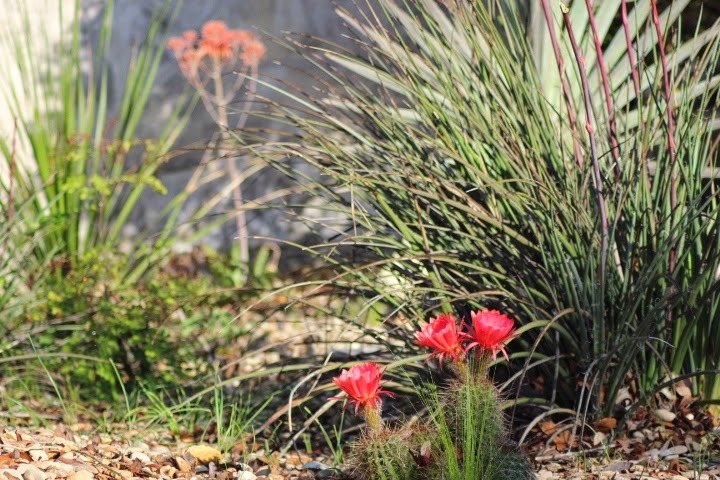 The gorgeous light coral cactus blooms have returned in the front agave bed. I have identified them as a type of hedgehog cactus although I can only find one photo other than mine on the internet with this color bloom. Last year there were two blooms at once in the spring and this year three have appeared with a fourth in progress. In the background a hardy aloe is also blooming. 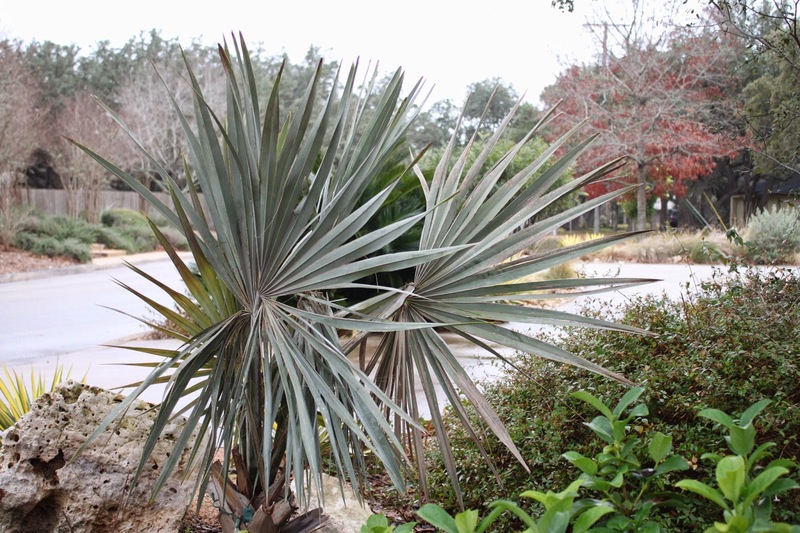 I'm joining Pam at Digging for Foliage Follow-up for April by checking in on my frozen Bismarck Palms (Nobilis bismarckia). So what about those Bismarck Palms? Back in January I posted on the State of the Bismarckias after a deep freeze took us down to 20.8 and those poor tropical palms quickly showed the effects of exceptional cold exposure by browning up. It's Garden Blogger's Bloom Day and time to join Carol at May Dreams Gardens to share flowering plants in the garden for April. It has turned unseasonably cold again this week befitting this wacky winter which means the blooms have been slower to arrive. 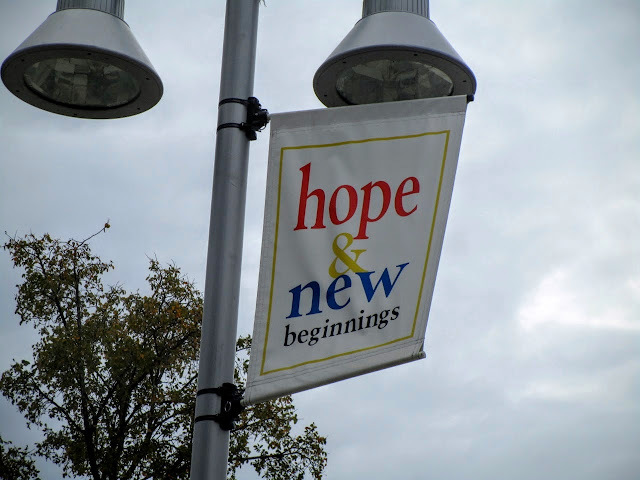 Still there are some old reliables and new ones to share so lets get started. 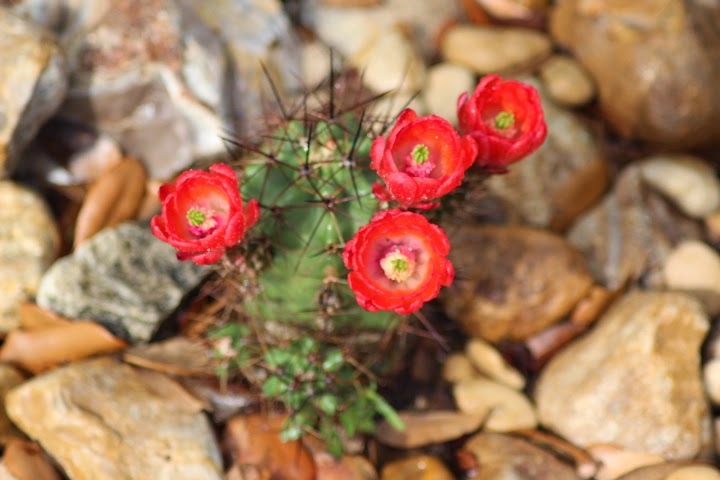 Claret Cup Cactus (Echinocereus triglochidiatus) or hedgehog cactus is native to West Texas, the cup-shaped red flowers brighten up the spring garden each April. Sometimes we gardeners are so focused on what remains to be done that we forget how much progress has been made. This is why I enjoy looking at the changes through past photos, and just one of the reasons I'm joining The Patient Gardener for the End of Month View for March. March is one of the best months for gardening in our climate and we are typically in a big push to get large projects finished. Plants put in the garden now get a chance to grow in and gain strength before the heat of summer sets in. This year March has been cooler than usual, but the weather has been great for gardening except on a few days when high winds kept us indoors. The Salvia greggii blooming along the street are an especially welcomed sight after our cold winter. These tough native plants are evergreen and resume blooming as soon as the weather warms a bit. By design the front view does not change much through the seasons, providing an enjoyable view throughout the year.